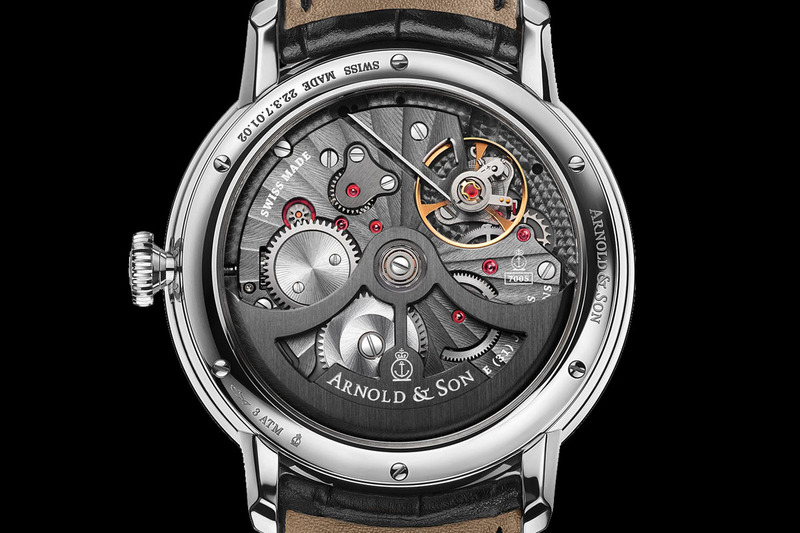 Arnold and Son is known for creating several very interesting complications, among which we can find a double tourbillon or a time-carrousel. However, the most usual feature we can find in watches created by Arnold & Son is the dead second (or seconde morte in French), something that could be seen as proper heresy in a mechanical watch but that we do praise here at Monochrome-Watches. That’s the complication highlighted in the Arnold and Son Instrument DSTB that is now coming in a stainless steel / black dial combination. What is a dead second or seconde morte? If you are familiar with mechanical watches, you know that the second hand is a sweep hand that is doing a (virtually) continuous movement. We said virtually because the hand actually moves 5 to 10 times per second (depending on the frequency of the watch). It easily gives the impression of a continuous movement. On the other hand, a quartz watch does have a second hand that moves only once per second. This movement of the second hand is what watch aficionado usually look first to see if they are in front of a mechanical or quartz watch. 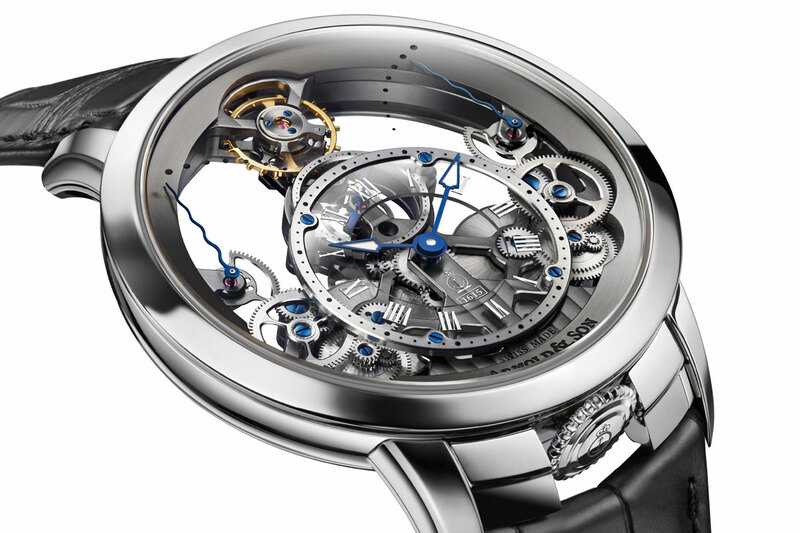 With a watch featuring a dead second mechanism, it becomes more complicated. A dead beat second makes the second hand of a mechanical watch jumps precisely one time per second – and thus, acting like a quartz watch. We can find such a complication in the Grönefeld One Hertz or in the Habring Jumping Second. 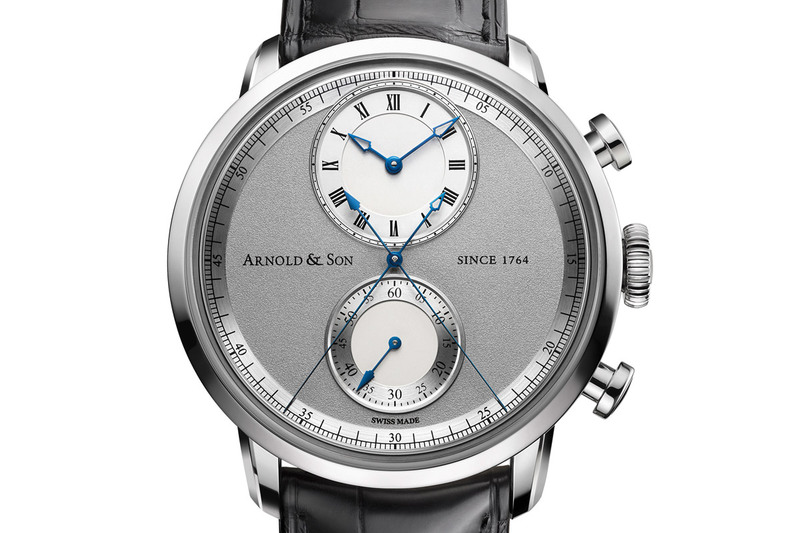 Arnold and Son uses it in the TBR or in the CTB (combined here with a chronograph). You’re first think that such a complication makes no sense. Why buying a mechanical watch that looks like a cheap quartz watch? The dead beat second has first a precision objective. It was used in marine chronometers to precisely determine longitudes. As the second is displayed exactly in front of the second track’s markers, no confusion is possible. It also has a pure horological interest as it is a complication, something more added to a movement and that requires several parts – such as a levers, springs to store energy or extra wheels. 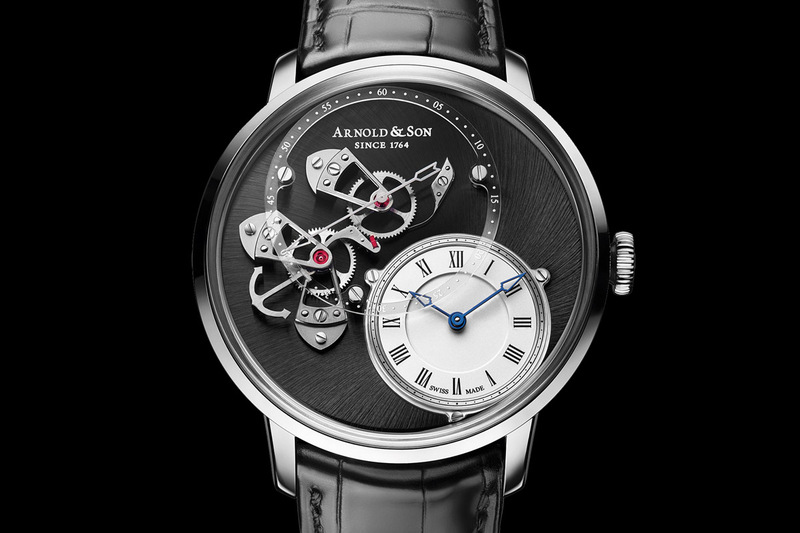 Arnold and Son chose to highlight this rather unusual complication on the dial of its DSTB – a.k.a Dial Side True Beat – as the off-centered second dial occupies the largest place. The hours and minutes dial is relegated to a supporting role here. The second sub-dial even overlaps the time dial – hopefully, the second track is printed on a sapphire ring that allows to keep a clear view on the time. 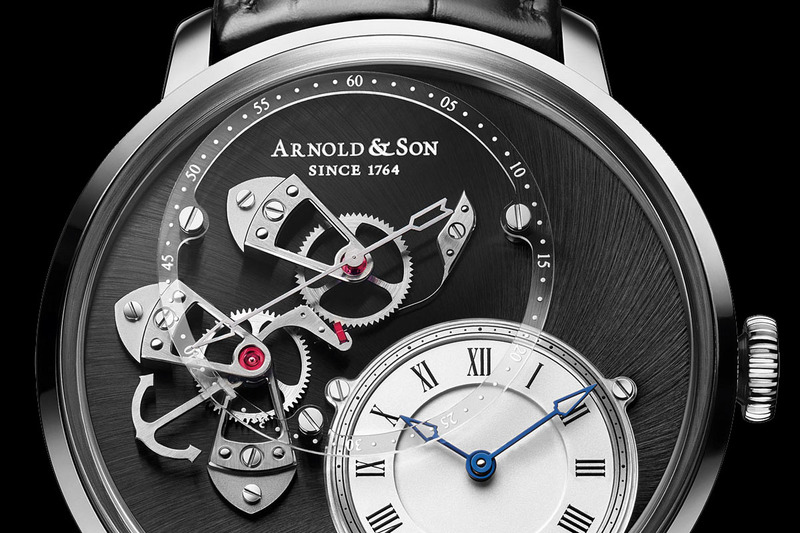 The dead second mechanism – or True Beat as Arnold & Son likes to call it – is fully located on the front of the watch. Not just the hands, but also the lever, wheels and three palladium treated true beat seconds bridges are located on the dial side. The Arnold and Son DSTB is not a proper novelty but it is now available, together with the pink gold edition, in a combination of stainless steel for the case and black for the dial. The case measures a robust 43.5mm diameter and comes in a fully polished finish. The dial is actually the base plate of the movement. It finished with a black ADLC coating and a brushed snailing pattern. 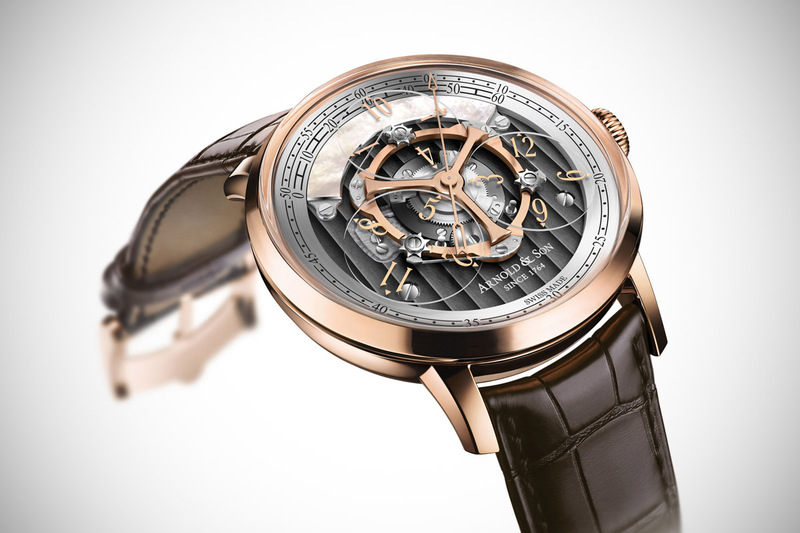 The Arnold and Son Instrument DSTB is mounted on a hand-stitched black or brown alligator leather. 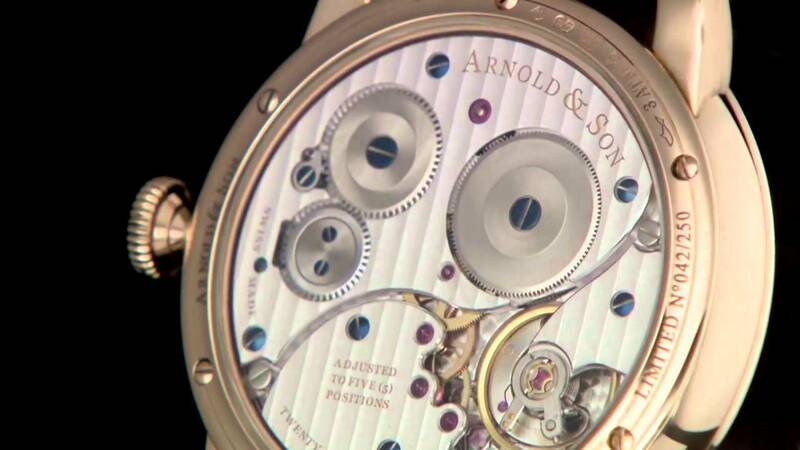 Behind the dial of the Arnold and Son Instrument DSTB sits a very nice movement. 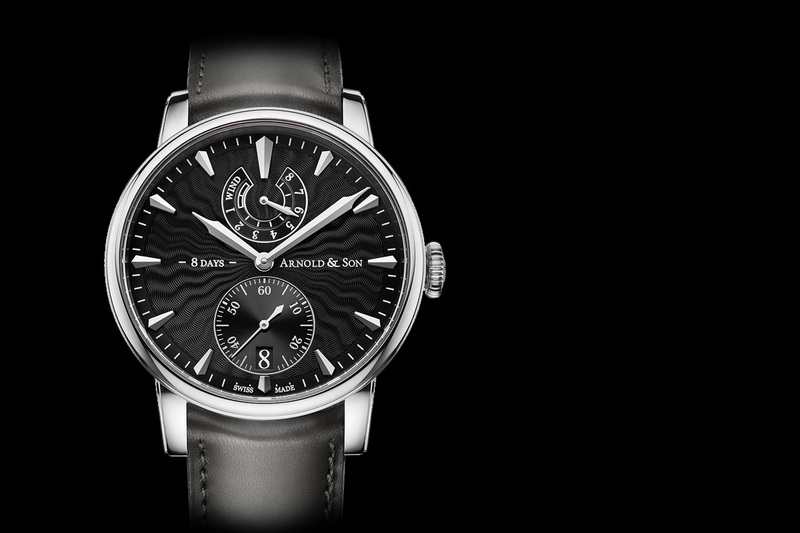 It is a self-winding calibre with a central rotor and a 50-hour power reserve. The diameter is impressive – 38mm – and then fits perfectly the quite large size of the watch. The finishing is also very pleasant with hand-chamfered and satin-finished lever and bridges, polished edges, fine circular graining and rayonnantes Geneva Stripes. The main plate, the bridges and the rotor are NAC grey treated. 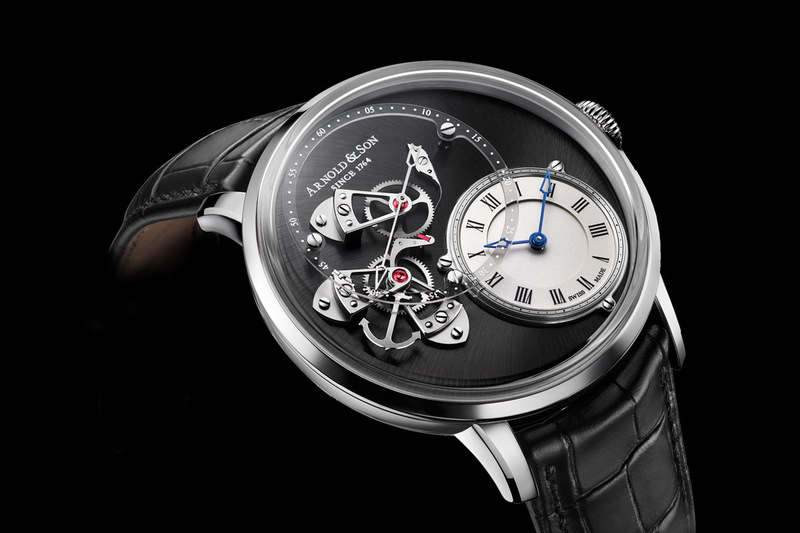 The Arnold and Son Instrument DSTB is a limited edition of 250 pieces. More details on Arnoldandson.com.